Check out Tobi's Rhythm Cold Shoulder Maxi Dress You'll be so graceful at the gala in the Rose Rhythm Cold Shoulder Maxi Dress. 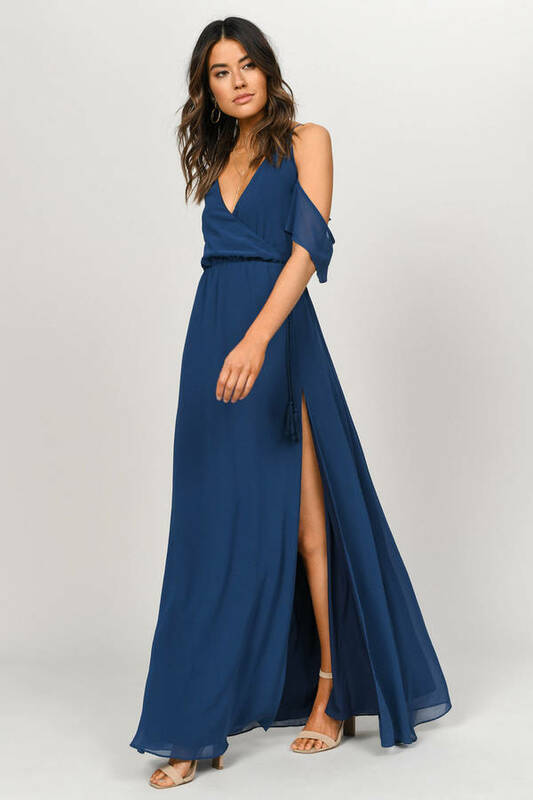 An open shoulder maxi dress with a v neckline, criss cross back straps and sassy front slit, this tassel dress is finished with a waist tie. Dinner and dancing in this chiffon maxi dress. You'll be so graceful at the gala in the Black Rhythm Cold Shoulder Maxi Dress. An open shoulder maxi dress with a v neckline, criss cross back straps and sassy front slit, this tassel dress is finished with a waist tie. Dinner and dancing in this chiffon maxi dress. 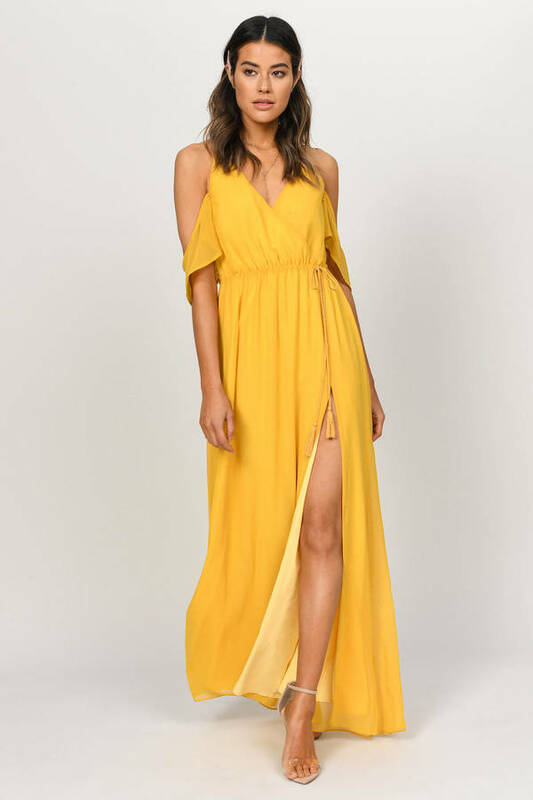 You'll be so graceful at the gala in the Marigold Rhythm Cold Shoulder Maxi Dress. An open shoulder maxi dress with a v neckline, criss cross back straps and sassy front slit, this tassel dress is finished with a waist tie. Dinner and dancing in this chiffon maxi dress. You'll be so graceful at the gala in the Blue Rhythm Cold Shoulder Maxi Dress. 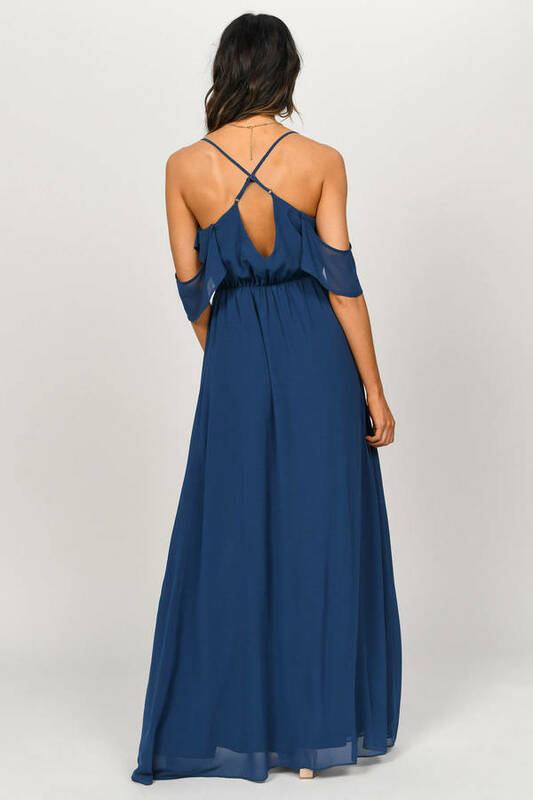 An open shoulder maxi dress with a v neckline, criss cross back straps and sassy front slit, this tassel dress is finished with a waist tie. Dinner and dancing in this chiffon maxi dress. You'll be so graceful at the gala in the Wine Rhythm Cold Shoulder Maxi Dress. An open shoulder maxi dress with a v neckline, criss cross back straps and sassy front slit, this tassel dress is finished with a waist tie. Dinner and dancing in this chiffon maxi dress. You'll be so graceful at the gala in the Taupe Rhythm Cold Shoulder Maxi Dress. An open shoulder maxi dress with a v neckline, criss cross back straps and sassy front slit, this tassel dress is finished with a waist tie. Dinner and dancing in this chiffon maxi dress. You'll be so graceful at the gala in the White Rhythm Cold Shoulder Maxi Dress. An open shoulder maxi dress with a v neckline, criss cross back straps and sassy front slit, this tassel dress is finished with a waist tie. Dinner and dancing in this chiffon maxi dress. You'll be so graceful at the gala in the Navy Rhythm Cold Shoulder Maxi Dress. An open shoulder maxi dress with a v neckline, criss cross back straps and sassy front slit, this tassel dress is finished with a waist tie. Dinner and dancing in this chiffon maxi dress. You'll be so graceful at the gala in the Rose Rhythm Cold Shoulder Maxi Dress. An open shoulder maxi dress with a v neckline, criss cross back straps and sassy front slit, this tassel dress is finished with a waist tie. Dinner and dancing in this chiffon maxi dress. Navy, Marigold, Taupe modeled on a size Small. Model's profile: height 5'8.5", bust 32", waist 24"
Blue, Rose modeled on a size Small.